Before a certain well-known bread was manufactured, people bought their bread fresh every day from a local bakery. When bread was first mass-produced and packaged in a colorful wrapping, people were hesitant to buy because they didn’t believe it could be fresh since it hadn’t been baked that very morning. So, what did the bread manufacturer do? They had people drive up and down the streets handing out loaves of their bread to everyone they saw. Who could pass up a free loaf of bread? Not many people, that’s for sure. One free loaf wouldn’t have made an impact. That brand of bread would have become just one choice among many. But . . . the company kept giving away the bread, day after day after day. Soon people began to expect free bread. They stopped buying bread from their local bakers, and eventually, those bakers went out of business. The manufactured bread became the only choice in town, a price was attached, and the price went up and up and up. And people had no idea this coup d’état had taken place or that they had been pawns in a major cultural revolution. That story might sound like a fairy tale, but it happened. And it’s happening again, though this time it’s about books. There is a war going on between Amazon and the major publishers to determine the course of the book business, and we are all pawns. People laugh at the entrenched publishers, saying they don’t have a clue where the book business is going, but the truth is, they do know, and they are fighting back. It’s a war of price — what to charge readers to buy an ebook (most people who own kindles seem to believe they paid their price of admission by buying the kindle and that anything they download should be free or pretty close to it). And it’s a war of literary value. Dinner and a movie costs a small fortune now, and the pleasure is fleeting. The movie is forgotten, but even before that, the food becomes waste. Why should a book, especially a thoughtful, well-written book be valued less than human waste? Make no mistake about it. Books are being devalued at this very minute. People think they are in the vanguard of a fight for the people’s right to write and publish whatever they wish without having to kowtow to the old publshing standards. But who are they working for? Amazon. With all the free books people are uploading onto Amazon, Amazon doesn’t even have to manufacture a product like the bread company did. People are standing in line, begging to give them product, hoping to be one of the chosen few who makes a mint selling books. And Amazon is playing them like a violin, choosing certain books to promote, showing everyone that yes, it is possible. But only if you give Amazon the keys to your literary kingdom. Perhaps people do have the right to write and publish whatever they like, good or bad. The major publishers certainly didn’t do a good job of it, shoving crap down our throats and expecting us to like it, but once upon a time, there were standards. Sure, some good books were rejected out of hand, but others were published, polished, promoted. It was a golden age of reading, but it came to an end because of corporate greed and the first devaluation of books. Bottom line became important, quality was slashed, books were chosen not so much on merit but what a person standing in a grocery story line would be apt to throw in their cart. People didn’t seem to care since there were so many other entertainment choices vying for their spare change. So now, books are being devalued even more. Amazon is spewing out bestsellers as fast as the major book publishers are. It sounds nice, doesn’t it: let readers decide what they want to read. But it doesn’t happen that way. Readers are inundated with constant demands to “buy my book!” Dross is being over-promoted at both ends of the spectrum — the traditionally published books and the self-published kindle books. The books that come to the general reader’s attention are those the various book publishing companies choose to push (and make no mistake about it — Amazon is a publisher in a major way), and the books that the relentless and shameful marketers are bringing to your attention. Of course there are good books at both ends of the spectrum. But the vast majority are books that any discerning reader couldn’t stomach. There is a third player in this war, though so far they seem to be standing by, bewildered by the onslaught. These are the small, independent, royalty paying publishing companies who follow the traditional publishing model to the extent that they accept submissions but choose to publish only the best. People assume I am a kindle author because I am so visible in various places on the internet, but I am not. My books were chosen out of a slushpile, and were accepted by Second Wind Publishing. It would be nice if, after the gunsmoke clears away, that we few, we chosen few, are still left standing. This is certainly one of the better “future of publishing” articles that I have read. Wow. This is a great post. It gives me another way to think about what’s going on. Thank you, Kaitlin. I’m glad it helps. This is such a confusing time in the book business, I mostly wrote the article to help me come to grips with all that is going on. I showed my friend this post, and she said, “Wow, that is one smart cookie.” I second that. Merry Christmas, Pat. Best of everything in the new year. Thanks for watching our backs. Ah, Joylene, you do say the most wonderful things. Wishing you a merry christmas, or at least a peaceful one. Being an author has always been tough. In some ways it is tougher today and, as you have pointed out, the rewards for hard work are not always there. I started out with short stories which were published in an ongoing magazine. Two of my novels were accepted by the same publisher and hopefully a third will also see publication. I think we both have publishers that won’t accept crap but will work with an author to refine a good read. Whether this will continue to mean anything to the greater readership or whether it means anything right now I don’t know. I don’t know if it means anything to the greater readership, either. Most seem to be willing to settle for very little. And even if they’re not, how can you compete with $0? The war is far more than two-sided, thank goodness. There are those of us (probably not many, looking at the big picture) who go our own way. I self-publish on Smashwords. I don’t publish on Amazon and probably never will. If I ever want to go the more traditional path for any of my books, I’ll look to the small, independent publishers. 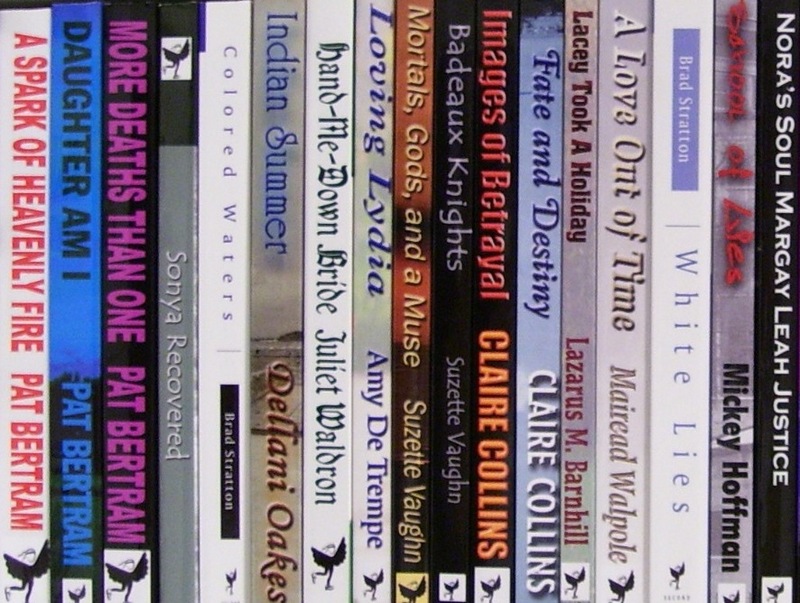 My books are published by a small, independent publisher, and if I weren’t, I’d either forget being published altogether or go the Smashwords route. People talk about Kindle being such a good thing because more people are reading more than ever, but it seems as if the Kindle is just another game. Reading is a by-product of the game, not the purpose. You have articulated what is going down now extremely well, the bread story is the perfect analogy. What I wonder is: will there be a renaissance to follow this current dark age of the intellect. Will our civilization last long enough to repeat the ups and downs of history that we (used to) read about. I don’t think there will be a renaiassance. I think the written word will continue to be devalued. You don’t hold sacred something that anyone can do. The truth is, long before this current craze, people had stopped holding the written word sacred. Reading has become entertainment, nothing more. I just found this article and Kudos to you. I own a small publishing company. We started posting some books on Kindle, and that was a really big mistake. As you stated, you can’t compete with $0.00 and authors that pay reviewers and buy expensive programs that exploit a weakness in the Amazon rating system. I don’t know how anyone can say “I’m an Amazon Best Seller”, when the book entered the top 20 slot for 1 hour? I would be embarrassed. It would be helpful to have a list of alternative retailers. There are a lot of people disgruntled with Amazon. It will be interesting to see how their business progresses in the future. For everyone who is disgruntled with Amazon, there are hundreds — maybe thousands — screaming praises. Amazon allows everyone who manages to string a bunch of words together to call himself or herself an author. Every day, my FB feed is filled with people claiming to be an Amazon bestselling author. Like you, I would be embarrassed. This is not what I want as an author. It’s been more than a year since I wrote this post, and I still don’t know what the answer is.